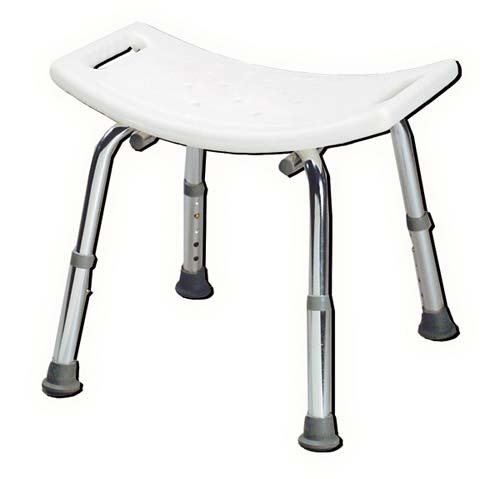 Bath Benches Provide Maximum Patient Comfort and Stability Thanks to Angled Legs and an Ample Seat, 250 lb capacity. • Available in gray (retail package) or white (fully assembled). • High-density, polyethylene seat and back. • Durable, aluminum frame is corrosion resistant. • Angled legs distribute weight over a large area to increase patient security. • Non-slip tips on all four legs provide extra-stability and safety. • Height adjusts in 1" increments.